Controlling pests in container gardens is a problem shared with gardeners of all kinds. The good news is that because container gardens are more accessible and because we water them frequently, we can find problems before they get out of hand. Taking steps as soon as you see a problem will help save the plant, or keep the problem from spreading. If you take your indoor plants outside for the summer, give them a good shower before bringing them back indoors in the fall to make sure you don’t bring your container garden problems inside with you. To avoid pests in container gardens, don’t reuse potting soil, especially if it contained plants that were affected by fungus or bacteria. Even if the soil looks fine, it can be contaminated by disease and may also have insect eggs or larvae that can’t be seen. Pitch the soil or throw it in your compost. Clean containers helps prevent container garden problems. At the start of each new planting season, scrub your pots and containers in liquid detergent and water. For pots that may have been subjected to garden pests and disease, soak them in a solution of one part household bleach to ten parts water for about an hour. Rinse them thoroughly and allow them to air dry before planting in them. Make sure you give your plants their required combinations of sunlight, fertilizer and water. Healthy plants are just like us – they can fight off pest attacks better if they are healthy. Remove any dead leaves or flowers and make sure they are spaced enough that air is able to circulate around them. 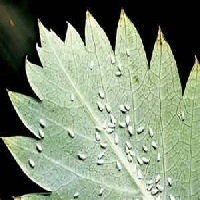 If you find a plant that is polluted with garden pests and disease, isolate it or get rid of it. Don’t let it infect your other plants. While you treat its problem, keep it away from your other containers, and wash your hands and gardening tools after you work with it. 6. All bugs aren’t bad bugs. Not all insects are harmful. In fact, many of them eat the harmful ones. Ladybugs and ground beetles eat some of the garden bugs that eat plants. Most insects are predators looking for other insects to eat and can live or pass through your garden areas with no damage to your container gardens. 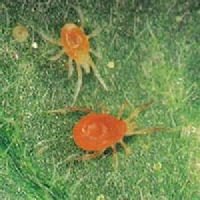 Pests in container gardens are more common to certain plants. Keep that in mind when you select plants for your container gardens. This is especially true of tropical plants or other plants that are not native to your area. 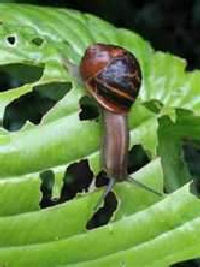 They haven’t acquired a natural resistance to all of the garden pests and disease in your area and are more vulnerable. Don’t avoid these plants – after all, that’s an advantage to gardening in containers – just check these plants regularly for harmful insects and take action quickly. Regular plant inspections help head off container garden problems. When you water, look at both sides of a few leaves – check the soil for anything that has burrowed in there also. Keep the area around your containers clean – sweep or hose off decks, patios or porches regularly. Dirty outdoor areas provide a breeding ground for container garden problems – they allow garden pests and disease to get established. If an infestation of pests in container gardens becomes established in your garden areas, take these steps to stop it. Pick the garden pests off the plants. Large slugs, caterpillars, beetles and weevils can be picked off – drop them in a bucket of soapy water to dispose of them. Smaller insects like aphids or whiteflies can probably be washed off with the garden hose. Some gardeners also recommend using q-tips dipped in rubbing alcohol to swab the insects off the leaves. To treat pests in container gardens, try this homemade solution below before purchasing chemical insecticides. It’s less expensive and better for your plants and you. It was recommended by Joseph Provey in his book, “Essential Container Gardening”. I use it and it works. Mix these ingredients in a spray bottle. The recipe is good for most “soft-bodied” insects in the garden – aphids, mealybugs and whiteflies especially. To make the solution more potent, add garlic or hot pepper. For hard-shelled bugs like beetles, add 2 teaspoons of citrus oil or peppermint extract. You have to hit the bugs with this spray for it to work, so look for little hiding place in leaves. Spray the plants with water a few hours after you apply this so it won’t damage your flowers or foliage. Continue to spray about every 10 days until you’re sure the container garden problems are gone. If you still have pests in container gardens at your house, try insecticidal soaps, botanical pesticides or as a last resort, powerful synthetic pesticides. Make sure you use a product that is targeted to a certain pest. Apply as directions indicate. Using more product than recommended will not help – it may only damage your plants or hurt the environment for you or your family and pets. If you can’t identify the insect causing the problem, pick off one and put it in a baggie – or take a picture with your cell phone – take it to a garden center or your local cooperative extension office and they will identify it for you and recommend a solution. The occasional caterpillar can be picked off but infestation can strip a plant quickly. Contact insecticides are effective. They look like spots of white mold. 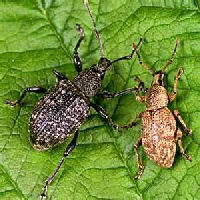 They are hard to shift and regular treatment with an insecticide is best. Thrives in dry conditions. Look for fine webs and mottling of leaves. 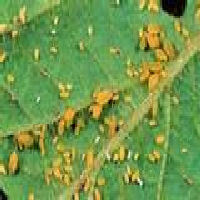 Pick off the affected leaves and spray an insecticide. Generally cant reach hanging baskets but can affect wall baskets and window boxes. They hide behind containers in day and eat plants at night. Use slug pellets. To keep snails out of your pots or boxes, apply a one or two inch band of Vaseline or petroleum jelly just under the rim of the container. These show up as white grubs first. They eat the plants roots. 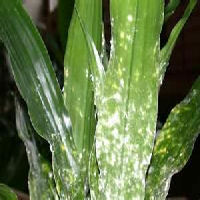 Insecticides can be used but once a plant has been attacked it usually cant be saved. Never reuse the soil. These tiny white flies flutter up in clouds when disturbed. They feed on undersides of leaves. Spray the leaves well with a hose. Try our home made recipe applied with a sprayer. Contact insecticides will need more than one application if infested. When using chemicals to treat pests in container gardens or elsewhere, always wear hand and eye protection.